Everyone needs a little mystery in their lives. 1. A bag of completely white Skittles so you have to take a minute to decide what flavor you're eating. Is it cherry? No, grape? ...cherry? Get it from Amazon for $10.58. 2. A dinosaur egg you can drop in water to reveal your new dino pal. What an eggcellent surprise! Get it from Papersource for $11.95. 3. Birchbox — a monthly subscription box that gives you five beauty samples each month so you can step out of your comfort zone without spending a fortune at Sephora. 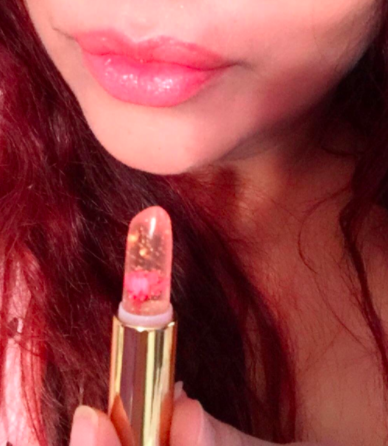 Take a quiz and the service sends you five beauty samples each month. You can get hair products, skincare items, and makeup from awesome brands like Milk, Stila, Mac, Ouai, and more. Get it from Birchbox for $10/month. 4. A plant wax candle that burns for 45–50 hours. When it's all done, you can uncover a bag with a surprise piece of jewelry inside. Choose one of four scents: rose, saffron, and vetiver; violet and sweetpea; pomegranate and mint; or wisteria and orange blossom. Get it from Firebox for $55.19. 5. A randomly selected sushi cat keychain that's the purrfect way to keep your keys in order. Get it from Papersource for $9.95. 6. 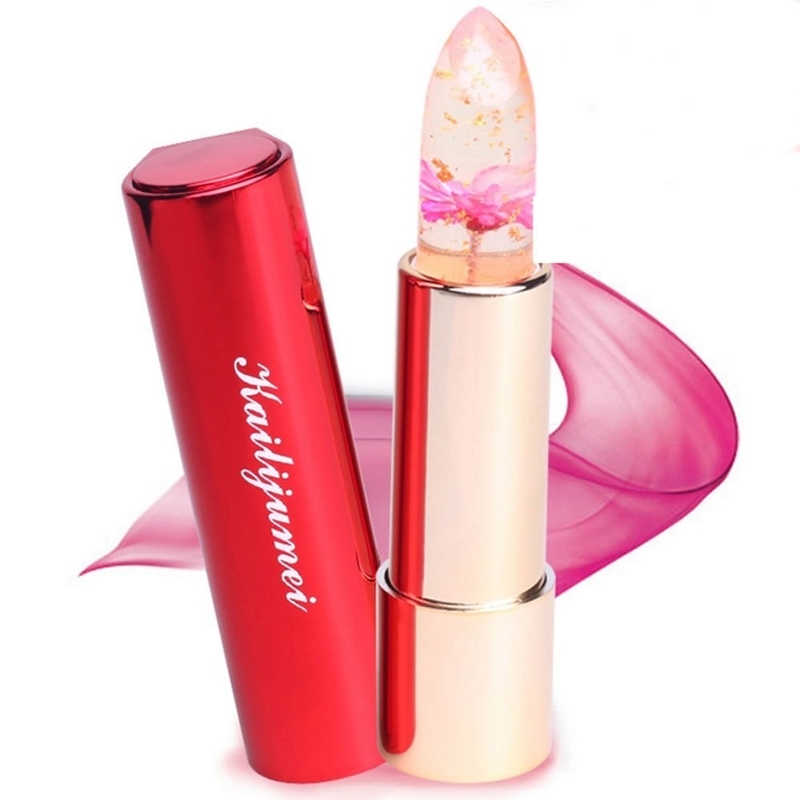 A beautiful lip balm with a little flower inside that reacts to the pH level of your lips and turns into a pink shade that's completely unique to your pout. Get it from Amazon for $7.77+ (available in four colors). 7. A box of bunny crackers so you can get a hop-start on your Easter planning. Each comes with a neon friendship bracelet, crown, and joke. Get a pack of six from Amazon for $23. 8. 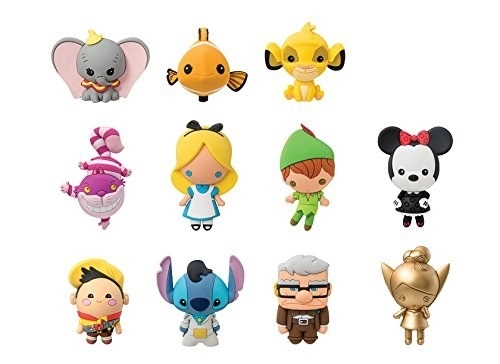 A Disney blind box that yields one keychain, whether it be a princess, fan favorite, or villain. Each bag can yield one of 11 characters. According to reviews, they're roughly 2.5–3 inches tall. 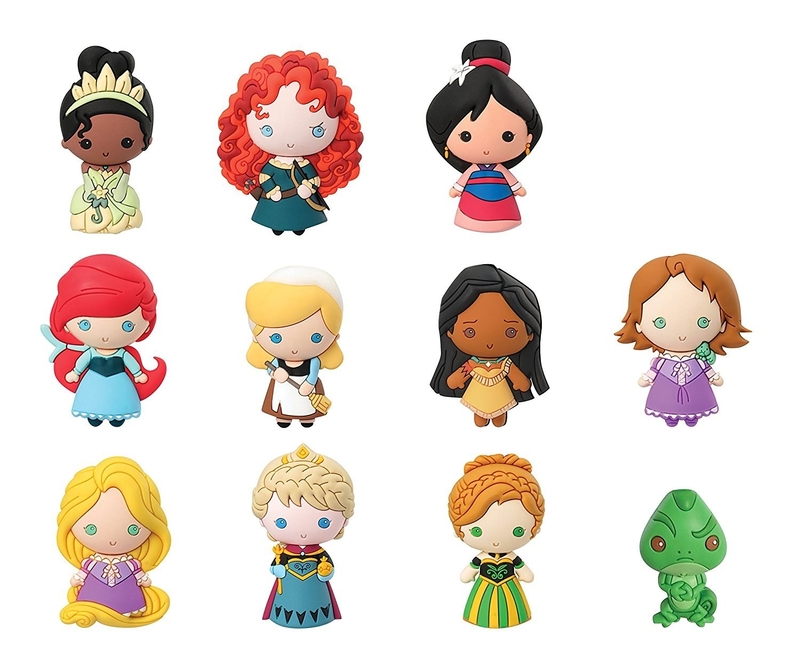 Get one of the princesses for $6.99, villains for $13.97, or random characters for $9, all from Amazon. 9. A random shirt from Teefury for just a fraction of the regular cost. Get it from Teefury for $5 (available in sizes S–3XL in women's, men's, and children's sizes). The bill can be anything from a $1 to a $50, and it'll smell like pearberry. Get it from Amazon for $11.50. 11. 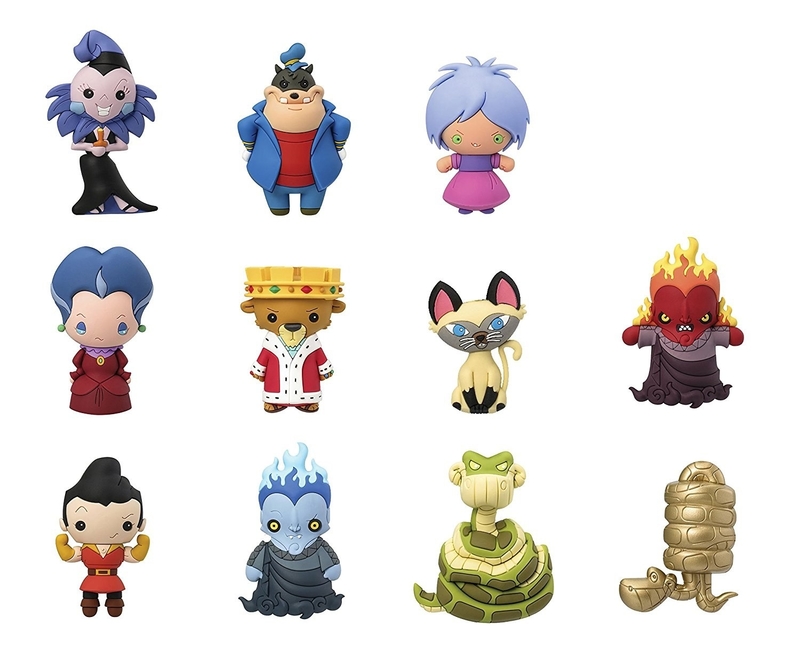 A Nicktoons blind box you can invest in when you want a nostalgic keychain for your collection. In the words of Spongebob, "I'm ready!" to buy 100 of these boxes. Get it from Amazon for $7.96. 12. Quirky Crate — a subscription box filled with colorful, fun items that will make you smile. Every box will feel like a mini shopping spree. Each box has a $60+ value, so it basically pays for itself. 13. A container of BeanBoozled jelly beans for ~real~ risk takers. You think it's brave biting into a bean without knowing if it's cherry or cinnamon? Try lime or lawn clippings. Promising review: "These are some of the most awesome, disgusting things on the planet. I lost my nerve after my forth round. I got the grass clippings and moldy cheese. Let's just say if it says it tastes like something, it does. No questions asked — I didn't hit dog food but I am sure it will taste like dog food. Toothpaste tastes like toothpaste, booger is nasty. Rotten egg is disgusting. That is all we know so far. The good ones are really good. The bad ones are really bad." —Chris W.
Get it from Amazon for $5.85. 14. A Pokemon bath bomb you can dramatically yell "I choose you!" at while tossing into the tub. Your starter Pokemon will appear while you're relaxing — no Dr. Oak, needed! Get it from HeavenScentBox on Etsy for $6.19 or a similar pack of six from Amazon for $23.99. 15. Or a Sorting Hat bath bomb that will tell you what Hogwarts house you belong in by awarding you with a house charm. There's no escaping your Hufflepuff-ness now that there's physical proof. Get it from BathPartyCreations on Etsy for $6.75+ (available in four scents and two sizes). 16. Orrrr if you want some serious bling, try a ring bath bomb with a piece of jewelry potentially worth thousands. The bath bomb comes in three scents and has a piece of jewelry worth up to £2,000. Get it from Firebox for $22. If you're in the states, try this similar bath bomb from Amazon for $15.95 that has a ring worth up to $5,000. 17. A mystery flavor Oreo with a divisive reaction from fans. It's one of those things you either love or hate, like mystery flavors in general. How does it taste? The reviews are divided, some love it, while others say it takes like Pepto-Bismol. The mystery has already been unveiled, so don't Google it unless you want the surprise ruined! Get it from Walmart for $2.98. 18. A subscription service that will send you stylish ties in mail just in case the idea of shopping on your own puts your stomach in knots. Get it from Cratejoy for $11.99/month. 19. A DC Comics blind box to grab when you want a hero or villain to accompany you on your next trip to Gotham City. 20. An Apollo Surprise Box filled with fun goodies so you can get a gift in the mail each month. Future You will love it! Fill out a survey about your taste and you can get a curated box filled with cool stuff like moon lights, toys, and planters. Get it from Apollo Box for $30+/month. 21. A mystery box filled with 10 different e.l.f. products so you can finally fill out your makeup collection. Get it from Overstock for $18.19. 22. A subscription service that sends you a new mystery to puzzle over each month. Each month is set in a new city and comes with different items depending on the mystery. 23. A pack of stackable Tsum-Tsums that create unlikely Disney friendships you'll wish were cannon. Each mystery back comes with three figures in three sizes that stack on top of each other. Get it from Target for $3.79. 24. Say It With a Sock — a service that sends you a pair of socks each month. Who says socks are a boring gift? 25. 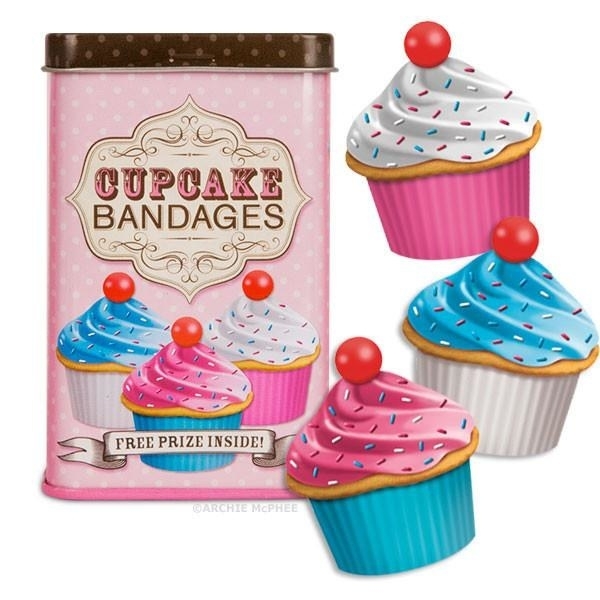 A tin of novelty bandages with a prize inside. What's the prize??? Someone tell me, please. I'm bacon you. 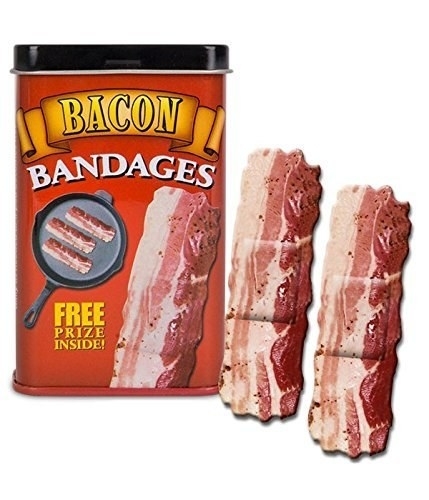 Each tin has 25 fun-shaped bandages. Get it from Amazon for $5.69 (available in seven styles). 26. A shell candle that will offer up a pearl of wisdom when it's fully melted. You can get one of five different pearls. Get it from Firebox for $27.49. 27. A macabre subscription service that will surprise all you boneheads with a new animal skull each month. All the specimens will be of A or B quality with only minor imperfections. Get it from Cratejoy for $24.99+/month. 28. And if you prefer surprises for other people, Greetabl offers personalized boxes you can fill with all sorts of surprises. You can pick a beautifully designed box, add photos, and fill it with fun items like confetti, lollipops, temporary tattoos, and other treats. Get it from Greetabl starting at $11.